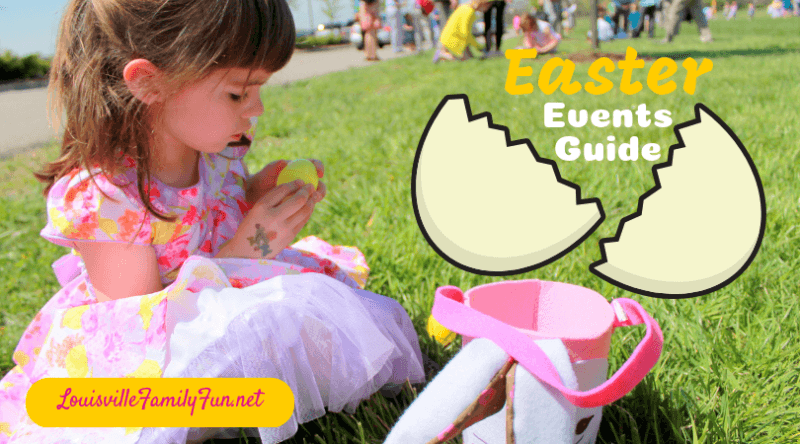 Easter egg hunts and events around Louisville 2019. Don’t forget the Easter Bunny! Are you looking for Easter egg hunts in Louisville? There are so many places to get outside and have fun with your family this year for Easter. There are also plenty of places to visit the Easter Bunny in Louisville. Easter egg hunts are very popular in Louisville so you can find one that’s just right for you family or attend many. Below, you can also find a spot to visit the Easter bunny! FEAT Easter Egg Hunt for children with autism and their siblings. 10am to noon at Home of the Innocents. This is also a resource fair. Jeffersonville Flashlight Egg Hunt 6:30-9:00pm – pre-registration required. Breakfast with the Bunny at Dave & Buster’s – 8-11am. $28, free for kids ages 3 and younger. Buffet, egg hunt, crafts & activities, $10.00 power card for Ticket Games and Unlimited Video Game Play on the non-redemption games. The Unlimited Video Game Play lasts ALL DAY LONG! Wiggles & Giggles Egg Hunt at Silver Street Park at 10am. Easter Egg-a-palooza at St. Paul United Methodist Church from 9am – 11am for children (5th grade and under) and their families. Enjoy the egg hunt, crafts, games, and a visit from the Easter Bunny! Easter Ceramics Workshop at OCS Art Center from 10am – noon. Cost – $15, must register online. Egg hunt at Beechland Baptist Church at 10am. Egg Hunt at St. Mark United Methodist Church from 11am – 1pm. Age divided hunts, free lunch, inflatables, face painting, Easter Bunny and more! The Great Egg Hunt from 11am – 1pm. at Alex R. Kennedy Elementary School. Ages 0 – 11. Free lunch, inflatables and face painting. Easter Egg Hunt at Okolona Christian Church. from 11am – 1pm. Age 2 – 4th grade. Egg hunt, food and face painting. SBAK Egg Hunt for children affected by Spina Bifida and their families from 1-3pm. Free Family Easter Event at Michael’s stores from 1 – 3pm. 1st Ever Easter Egg Hunt at Learning Express at 3pm. (Come early for visit with Peppa Pig starting at 1. Easter PAWty at Southern Barker Louisville from 3-6pm. Bring your dog to get a free photo with the bunny! 4th Annual Easter Strides & Egg Hunt with Fit4Mom Louisville from 4-6pm. Buffalo Trace Egg Hunt from 11am-2pm. An egg-citing event for children and parents! Search for thousands of treat-filled eggs, plus enjoy refreshments and pictures with the bunny. All activities are complimentary. Areas will be marked off for children ages 2 and under, 3-4, 5-8, and 9-12. Register online. Community Wide Easter Egg Hunt from 12:30 – 1:30pm. Join us for our Community Wide Annual Easter Egg Hunt. Children through age 11 are invited to bring your basket and join the fun! All are welcome. Community Easter Egg Hunt in Fern Creek from 2-4pm at the Fern Creek Community Center. Games, prizes, Easter egg hunt and it’s free! YMCA at Norton Commons Easter Festival from 2-4pm. Free and open to the community at Oval Park in Norton Commons. Egg hunt at Summit heights United Methodist Church at 6 – 7pm. Crescent Hill Community Council Easter Egg Hunt from 9:30 – 10:30am. Storytelling time (9:30) and Easter egg hunt (10) on the Grounds of the Peterson-Dumesnil House. Easter EggStravaganza at Crescent Hill Baptist Church from 9:30 – 11:30am for pre-school and elementary children. Dye Easter eggs, bouncy, face painting, cookie decorating, arts and crafts and games. Easter Parade Down Frankfort Avenue starts at 11:30. Eggstravaganza at the Louisville Zoo from 10am – 2pm. Clarksville Parks & Recreation Egg Hunt at 10am. Free event at Gateway Park, children ages 1-12 can hunt for thousands of candy-filled eggs. After the hunt, kids will get the chance to meet and take pictures with the Bunny. Pre-registration is not required for this event. GymTyme Easter Egg Hunt and Bounce House Party for children 9 & younger! Bounce House Party will be 10 – 11am, the Easter Egg Hunt will begin promptly at 11am. $5, register online. Family Easter Festival at Silver Street Park in New Albany from 10am – Noon. 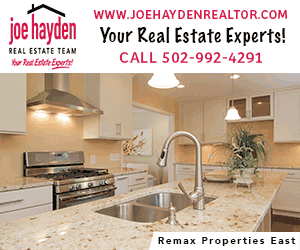 Community Egg hunt in New Albany – 10am-2pm. Egg Hunt at Sam Swope Care Center from 10:30 – 11:30am. Egg hunts by age group. Eggstravaganza from 11am – 12:30pm at Sam Peden Community Park. Inflatables, face painting, goodie bags, and age appropriate egg hunts. Jeffersontown Easter Fest – 11am – 1pm. Photos with the bunny, egg hunt and activities. Veterans Park. Lyndon Easter Egg Hunt 11am -1pm at Robsion Park. Ages 1-12. 27th Annual Frankfort Avenue Easter Parade runs from Stilz Ave. to Pope Street, 11:00am – 1pm. Floats, flags and lots of candy! Be sure to bring a bag to collect candy. Kids’ hat making table in front of the Crescent Hill library before the parade from 10-11am, the kids can walk in the parade and be in the contest at the end of it. Easter Fun at Mike Linnig’s from 11am – 6pm. Easter Bunny photos and free petting zoo (3 – 6pm). Egg Hunt at St. John United Methodist Church – noon – 1:30pm. Age 2 – 5th grade. Easter Eggspress Train Ride at the Kentucky Railway Museum at 1:00pm (lasting for about 90-minutes) *Reservations Recommended. Middletown Egg Hunt– Egg hunt at 1pm. Easter Brunch at the Galt House from 10am – 3pm. Large buffet of Easter meal specialties and a special buffet for the kids. Train ride for the kids and visit with the Easter bunny. $28 for Adults, $12 for kids under 12. 502-205-2888, ext 0 for reservations. Easter Sunday Buffet & Giant Egg Hunt at Joe Huber’s. Easter buffet is served all day, from 11am – 5pm, and the egg hunt begins at noon. Reservations strongly recommended by calling 812-923-5255. Easter Fun at Mike Linnig’s from 1 – 6pm. Easter Bunny photos and free petting zoo (1 – 4pm). Brunch Cruise on the Belle of Louisville 3pm. The bunny will be on board to add to the children’s delight as we take a two-hour cruise on the Ohio River. A scrumptious brunch buffet is included, and music from a DJ will round out the day! Here’s a list of events in Oldham County. Check out our events calendar for even more ideas!